Building on WestJet's position as Calgary's largest air carrier, the airline is introducing two new seasonal U.S. destinations this summer from YYC the airline confirmed this week. Daily non-stop service to Portland, Ore., begins April 29, while twice-weekly service to Austin, Texas begins on May 2. "We're thrilled to welcome the cities of Portland and Austin to the WestJet network," said Arved von zur Muehlen, WestJet Chief Commercial Officer. "Including Atlanta, which starts on March 3, these three key markets help diversify Alberta's economy, open new trade links and forge stronger connections between Alberta and these major destinations. We look forward to connecting friends, families and economies across the country and world this summer." The new routes are part of WestJet's 2019 summer schedule, which includes previously announced non-stop flights to London (Gatwick), Paris and Dublin from Calgary on its Boeing 787-9 Dreamliners along with new non-stop service from Calgary to Atlanta, Ga.
"A love of the great outdoors is shared by Calgary and Central Texans," said Jim Smith, Executive Director, Austin-Bergstrom International Airport. "We look forward to those in Calgary enjoying Austin style fun and we thank WestJet for connecting us to fun in a cooler climate." "We're pleased to welcome WestJet to the PDX family," said David Zielke, Director of Air Service Development, Portland International Airport. "The airline's daily nonstop service to Calgary offers Portland and southwest Washington travellers another convenient connection to Canada." "We are extremely happy WestJet is adding these two U.S. destinations at YYC Calgary International Airport this spring," said Bob Sartor, President and CEO, The Calgary Airport Authority. "The routes will allow our guests to explore two exciting cities in the United States." "Calgary thrives as a city because of our connections to the world and stronger ties to leading cities in Texas and the West Coast means more opportunities for business and tourism," said Mary Moran, President and CEO, Calgary Economic Development. "As a leading business centre in Canada, we applaud WestJet for its continued investment in Calgary and for adding direct air service to great cities like Austin and Portland that will create even more opportunities for people and companies to connect." Calgary-Houston, from 12 weekly flights to 13 weekly flights. Calgary-London (Gatwick), adding two weekly flights with daily Dreamliner service. Calgary-Orlando, from once weekly to twice weekly. Calgary-Phoenix, will double service from once daily to twice daily. Calgary-Puerto Vallarta, from three times weekly to four times weekly. Calgary-San Diego, from three times weekly to four times weekly. Calgary-San Francisco, will double service from once daily to twice daily. Calgary-Kitchener, from seven weekly flights to eight weekly flights. New non-stop three times weekly service between Edmonton and St. John's. Toronto-Nashville, from seven weekly flights to 10 weekly flights. Toronto-Grand Cayman, will double service from once weekly to twice weekly. Toronto-Kingston, from three weekly flights to four times weekly. Toronto-Liberia, will double service from once weekly to twice weekly. Toronto-Montego Bay, from 11 weekly flights to 12 weekly flights. Toronto-Nassau from six to seven times weekly. Toronto-Saint Maarten, will double service from once weekly to twice weekly. Toronto-Halifax, adding five weekly flights for seven-times daily service Monday to Friday. Toronto-Charlottetown, adding two weekly flights. Halifax-Winnipeg, from four weekly flights to five times weekly. Toronto-London, from two times daily to three times daily. Extension of existing once weekly winter seasonal service between Vancouver and Orlando. 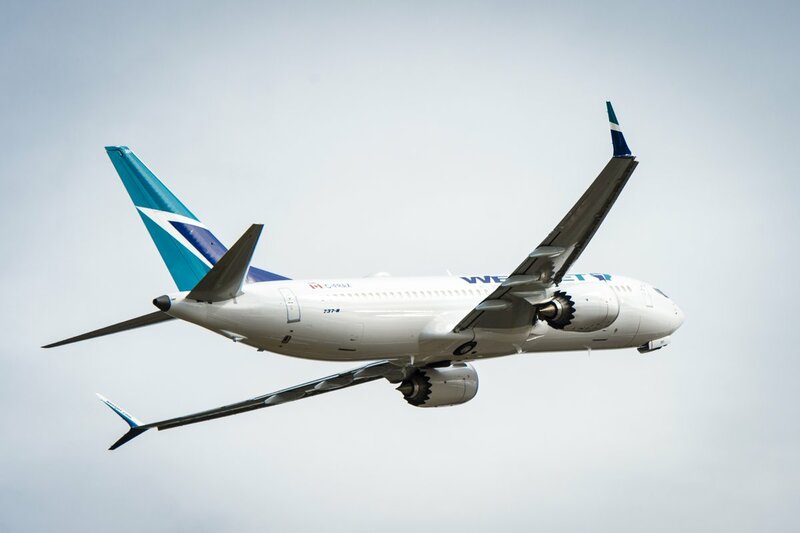 This summer, WestJet will operate over 750 daily flights in peak summer to 92 destinations including 42 in Canada, 23 in the United States, 27 in Mexico, the Caribbean and Central America, and five in Europe.